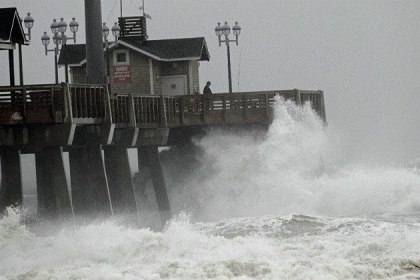 http://newiprogressive.com/images/stories/S5/hurricane-sandy-s5.jpg Alliance was formed in 2017 in response to President Trump’s announced intent to withdraw the United States from the Paris Agreement. 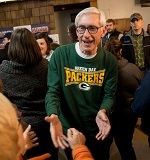 MADISON – Governor Tony Evers today announced his plans to join the U.S. Climate Alliance, a bipartisan coalition of governors committed to implementing the Paris climate accord on a state level to combat climate change. Lieutenant Governor Mandela Barnes has made it the mission of his office to focus on equity and sustainability, as well as the important issue of environmental justice. Gov. Evers and Lt. Gov. Barnes are committed to being innovative and forward thinking when it comes to clean energy and combating climate change. As they work with the bipartisan Alliance, Evers and Barnes will explore new energy saving goals for state agencies, increasing the use of solar power in Wisconsin, and helping businesses and communities make smart energy choices. “Climate change poses a real threat to Wisconsin’s communities and economy, with drought, heat-waves, and flooding likely becoming more severe across the region. By joining the U.S. Climate Alliance, Governor Evers is showing the nation that he intends to lead on climate action, and we look forward to working with the governor on his priorities like investing in transportation infrastructure, locally-produced renewable energy, and natural and working lands across the state,” U.S. Climate Alliance Executive Director Julie Cerqueira said.